Fall is coming. That statement might not have the power behind in like “winter is coming” (you are caught up on Game of Thrones right?) but fall is chilly enough to put me in mind of socks and sock making. There is a coolness in the air every morning that has me opening up my sock drawer and counting up how many pairs of knit socks, the kind with actual wool in them, that I own. Guess what? Its not enough. So while I’m knitting on my Trickery… and I am… I’m thinking socks. 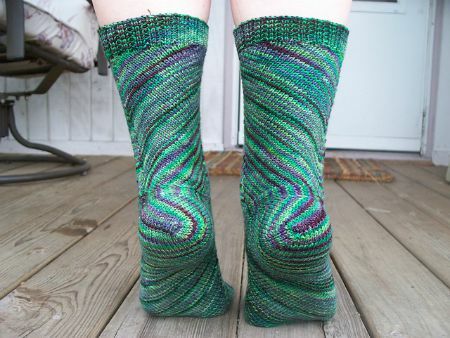 Stephanie Pearl-McPhee, aka The Yarn Harlot, has a Sock Recipe that can’t be beat. 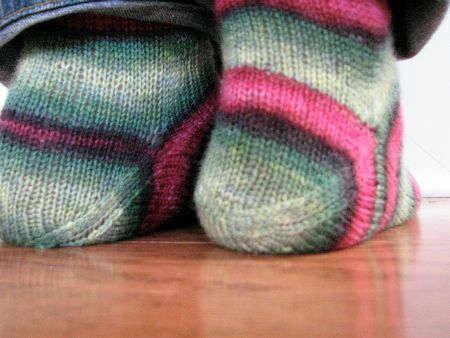 Its a great basic sock and just the thing you should try if you’ve never knit socks before. Trust me on this. 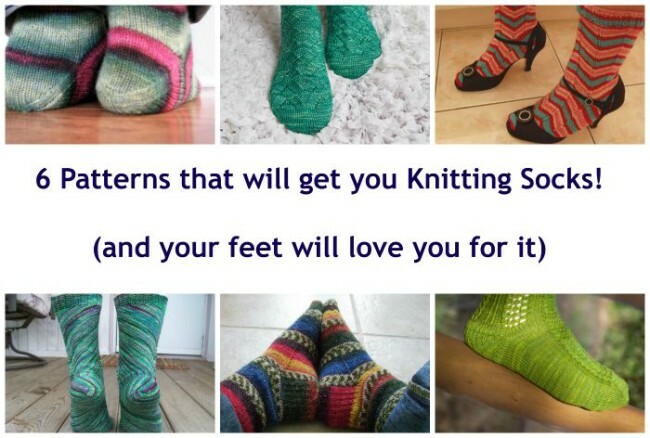 Her Sock Recipe has helped thousands of knitters get through their first sock experience on on their way to making any kind of sock they like. Its not a pattern per se and you buy her book Knitting Rules! to get the recipe. But her books are awesome. After you buy that book just for the sock wisdom (which is what I did), you’ll read the whole book and love it (like I did) and then buy all her other books (yep, did that too) and recommend them to every knitter you know. Then there is Monkey by Cookie A. Love that pattern. Everyone loves that pattern. The basic Monkey was published in Knitty back in 2006 and helped make that site a super success. You can still find the pattern, for free, over there. 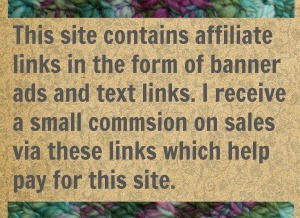 Since then, Cookie has tweaked it some and added sizes and help and you can buy that version over on Ravelry. It is worth it? Well, this is the go-to pattern for Stephanie, the one who helped all us knitting hordes make socks in the first place. Its lace-y enough to be pretty but not so lace-y that its doesn’t hug your foot. Also, its a pattern that looks great in a variegated yarn! Sometimes I make my socks with after thought heels. That kind of construction has its advantages. This style of knit socks is also more of a recipe than a pattern. You simply make your sock like a tube, either toe up or cuff-down, while leaving a bit of waste yarn where the heel will be. Then you pull the waste yarn out and add your heel last, like its a after thought. The big advantage of this is when your heel wears out (mine always do) you unravel the heel and knit in a new one. 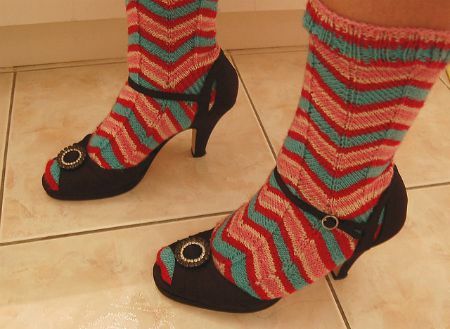 Back when ladies had to knit socks for their entire family this was how they did it. Its the best way to keep an old sock going! If you want to give it a try, check out Leslie’s free video tutorial for making that style of heel. Or go to the back of pretty much any Elizabeth Zimmerman book and get the instructions for adding an after thought anything (heel, pocket, button hole) to your knitting. One more sock making method that I’ve tried and loved, is Cat Bordhi’s Sweet Tomato Heel. Two Socks I’ve Haven’t Made but They Tempt Me! All that above ramble advice is based on experience. I’ve knit those socks. But here are two I haven’t knit yet and that may need to change very soon! There is Skew by Lana Holden. How wild is that? The pattern is a freebie and its available in six languages. You can visit the designer’s web site for tweaks and mods. These have been made by over 5000 ravelry’ers. Yes I may need a pair of those babies for my feet. 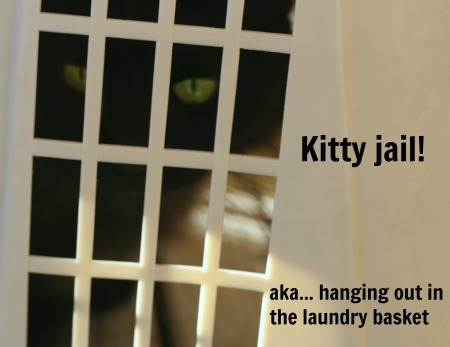 But then there are Grumperina’s Jaywalker. The designer’s pair shown here have that annoying knit in the round color jog in them, but I can fix that. And its a freebie pattern. And it has stripes. And I have lots and LOTS of sock yarn in all sorts of colors. Can you see now why I’m thinking about knit socks? 9 Comments on "Thinking about Knit Socks"
Skew and Jaywalker look way cooler, than they are in everyday life. At least for me both designs don’t work at all, as they are because of their construction methods hardly stretchy around the instep and I can’t pull then up my feet. 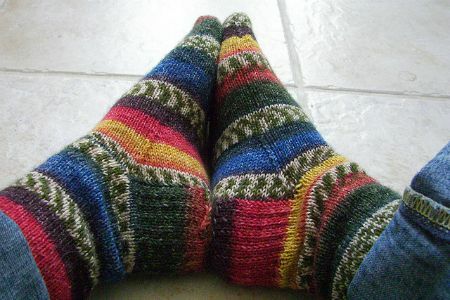 I gave my Jaywalkers away and did never even finish the second sock of the Skew. Okay. That’s very helpful. Thanks! I’ll probably be giving Skew a try. Just have to find the right yarn, the crazier the better I think for that pattern. And I’ll probably try to find a sock yarn with lots of spring in it. A nylon blend maybe. Or maybe a 100% wool that has been spun for S-on-S ply. Yes, I’m definitely thinking socks. Thank you for this information! I am going to find the sock pattern in Stephanie Pearl-McPhee’s book, since I own that book. I have only made one complete pair of socks, so a good beginners pattern would be nice. By the way, I love your new website. Glad you like it! It was a rough move for me but in the end it was worth it. And have fun with your sock recipe. I just love that part of the pattern that goes something like “make cuff until you are sick of it”. Lol. Steph knows the mind of us knitters! I have the Stephanie’s book on my Amazon wishlist and hope that someone will get it for me for my birthday (next week) or Christmas. I also have “Toe-up Socks” and that book is wonderful! Then I hope you get your books too! Do your special someones know of your wishlist? Do they know you have expectations? maybe you should just go get their credit card and save them the trouble…. I’m another one that finally had to give away my Jaywalker socks. I have small, narrow feet, and had to redo the first sock several times trying to get it to fit. Finally got it to fit over my heels, but that made it too loose on my feet and legs. I’ve looked a lot at Monkey, but worry if it’s flexible enough for small feet.